Detroit’s presidential election recount at Cobo Hall. By Steve Neavling. Detroit election officials withheld nearly 100 poll books for several days while Wayne County was trying to certify the presidential election, according to documents obtained by Motor City Muckraker and first reported by the Detroit News. 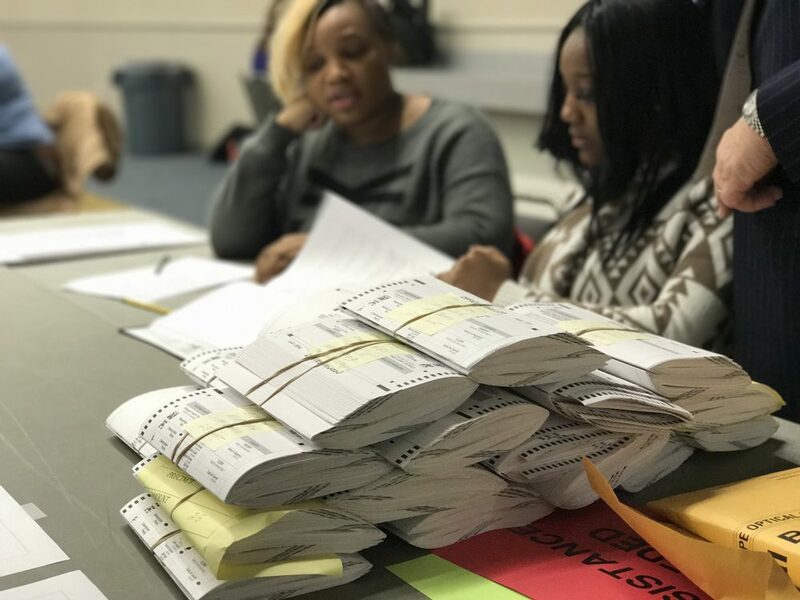 A memo from county clerk officials states that Detroit failed to deliver 92 of the 662 precinct poll books in a timely fashion, raising serious questions about why the information was withheld. Five of the poll books remained missing last month. It wasn’t clear Thursday whether the books ever surfaced. Poll books include the names of voters and are necessary for ensuring that election tabulations were not falsified. It’s just the latest problem to arise from Detroit Clerk’s Office, which bungled the Nov. 8 election. Dozens of voting machines broke, and scores of people left without casting a ballot. On Monday, Motor City Muckraker reported that 59% of the city’s precincts couldn’t be recounted because the poll books didn’t match the numbers on the ballot box. Earlier this week, the Detroit News reported that “more than one-third of all Detroit precincts registered more votes than they should have” during the presidential election. Detroit Clerk Janice Winfrey has declined to answer questions about the voting irregularities and couldn’t be reached for comment for this story. On Dec. 7, we wrote a rare editorial calling for Winfrey to resign and for an investigation to be launched. I also appeared on WDIV’s Flashpoint to call for Winfrey’s resignation.